James Riley (JR) Cabbiness passed away after a short and stubborn battle with a rare type of leukemia. JR was born June 1, 1938 in Alfalfa, OK to Jack and Reba Cabbiness. JR married Letha LaVone Stout on June 8, 1958. JR served in the Air Force. He attended Cameron College on a football scholarship. He was one of the outstanding players of the team that won the Jr. College Rose Bowl in 1961. He also had a short career in banking at First National Bank in Dona Co. Las Cruses, New Mexico while he attended New Mexico State University. He graduated from Central State in 1968 and began his career in education and coaching; first at Crooked Oak and then at Canton High retiring in 1993. He, LaVone, and their children Cindy and Bret enjoyed many summer vacations with their RV and ski boat visiting lakes and traveling from Black Hills, South Dakota to Victoria, Mexico. They settled in Harlingen, TX in 1996 to become winter Texans six months of each year, finally returning to their home in Norman full time in 2018. Their family includes Cindy and John Grauberger, Bret and Vicki Cabbiness, grandchildren Jason, Nichole, John Riley Grauberger, Ashlee and Jenna Cabbiness, eight great grandchildren, siblings Guy Cabbiness, Joann Eaton, Gala Griffitts. We greatly appreciate Dr.’s Sherri Durica and Thomas Merrill and the efficient and caring staff at Norman Regional Hospital. 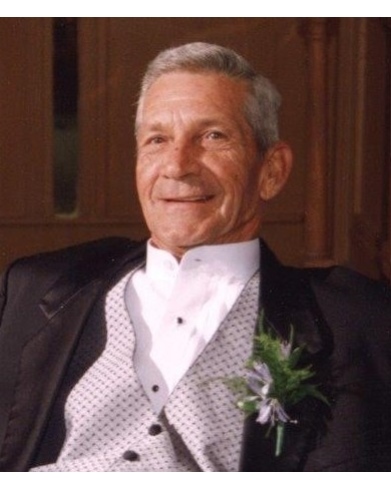 Visitation will be held at Havenbrook Funeral Home on Sunday, April 7, 2019 from 4-8pm with family greeting friends from 6-8pm. Services will be 10am Monday, April 8, 2019 at the Chapel of Havenbrook Funeral Home in Norman. Interment will follow at I.O.O.F Cemetery in Norman. In lieu of flowers, memorial donations may be made to the Lymphoma and Leukemia Society.